From the NFRS standards of excellence. A rich brown ticked with black. Base fur is dark grey to black. Belly colour is silver. Eyes are black. From the NFRS standards of excellence: To be a deep solid black, devoid of dinginess and white hairs or patches. Base fur to be black. Foot colour to match top. Eyes black. 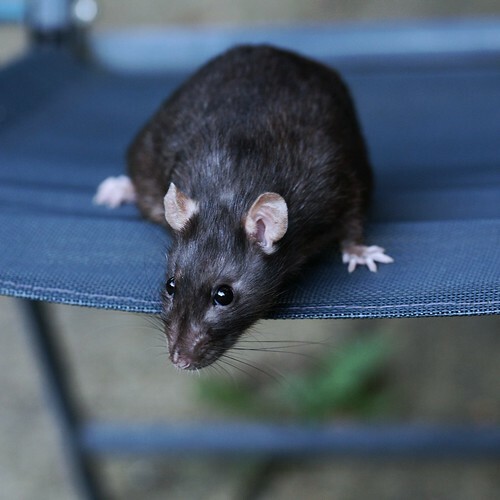 Black rats are rarely jet black, but can be dark brown or grey. 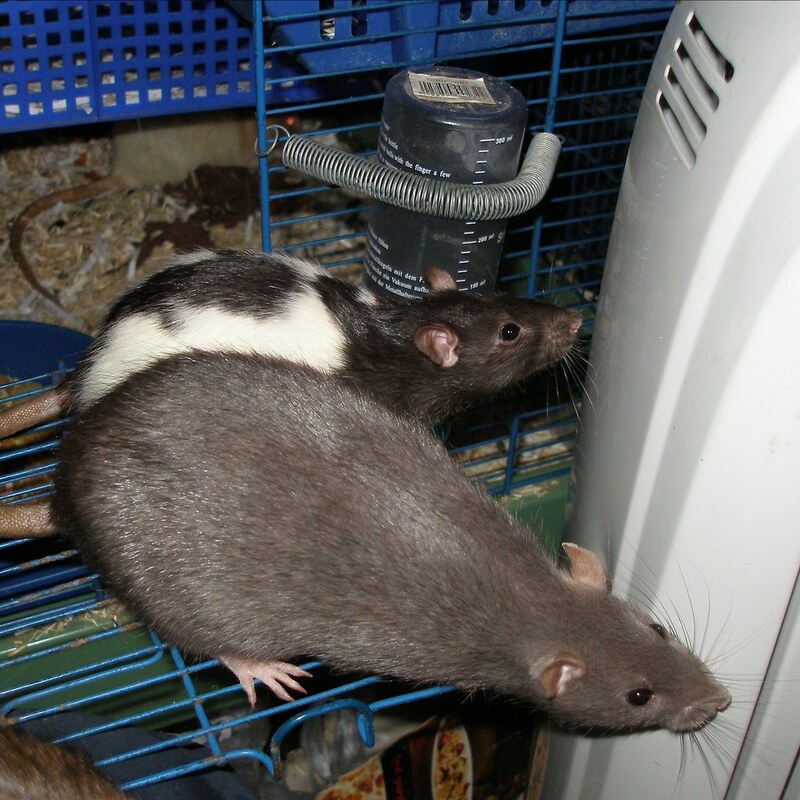 This is often due to age and/or recessive genes that the rats are carrying. From the NFRS standards of excellence: To be a deep, rich chocolate (near to the colour of Cadbury's Dairy Milk), as even as possible, devoid of any dinginess and white hairs or patches. Foot colour to match top. Eyes black. Genetics: a/a b/b non-agouti with the chocolate gene. 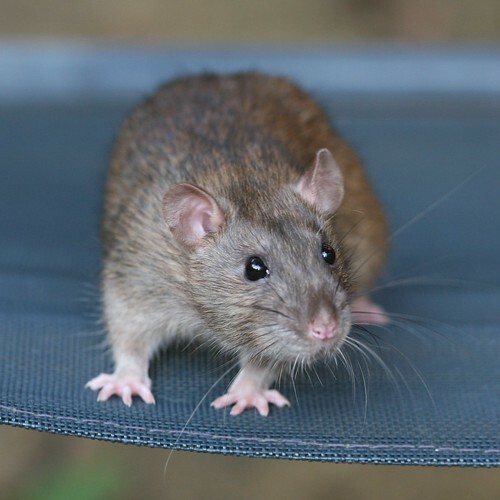 Some black rats carrying recessive genes can appear to be chocolate. Not recognised by the NFRS for showing purposes. This is because the variety is too similar to others to warrant a separate class. 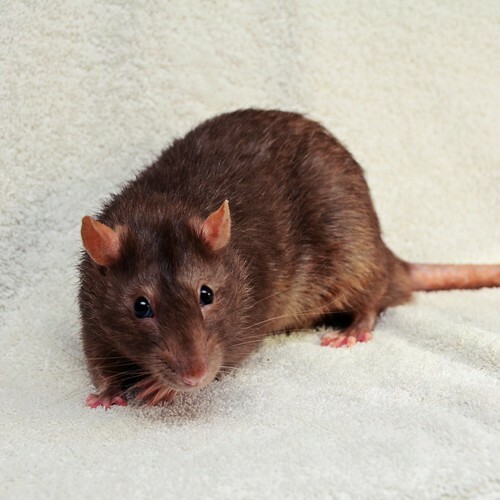 Chocolate agouti is an agouti rat where the black ticking in the fur is replaced by chocolate ticking. 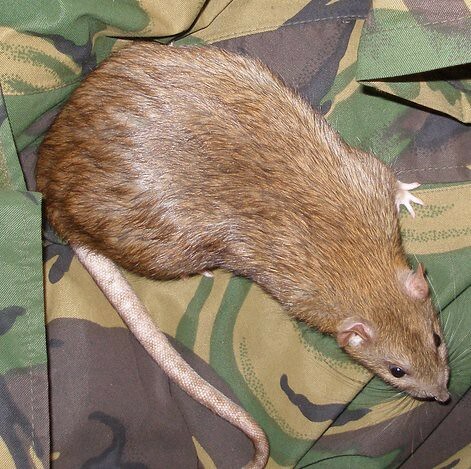 This gives an overall warmer and brighter agouti with slightly softer ticking. They look like a cinnamon when next to agouti rats and agoutis when next to a cinnamon rat. From the NFRS standards of excellence: A dark grey-blue with a metallic sheen down to the skin. Heathering (a subtle ticking effect) is normal. Eyes are black. Soft coat that is shorter than other varieties coats. 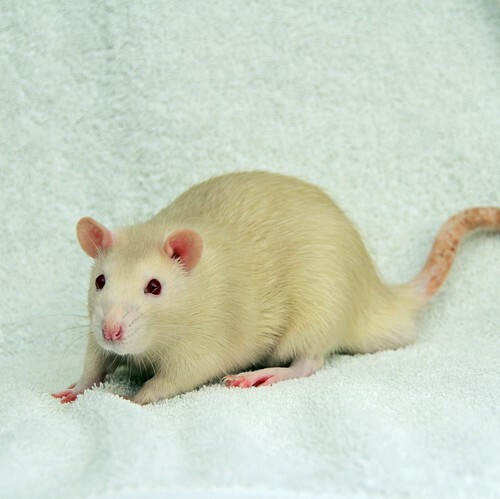 Genetics: a/a rb/rb non-agouti with two copies of the Russian blue gene. From the NFRS standards of excellence: To be an evenly warm beige, with no suggestion of dullness or greyness. Eyes Red. Genetics: a/a p/p or a/a b/b p/p non-agouti with two copies of the pink-eyed dilute gene (PED) or non-agouti with two copies of the chocolate gene and two copies of the pink-eyed dilute gene (PED).